A Luxembourg court has confirmed that its government can reclaim free pollution permits that were given to steelmaker ArcelorMittal to cover emissions at a closed plant under the EU Emission Trading System. While the big polluters cling on to the very profitable free allocation under Europe’s carbon market, solutions exist that would set the industry on a path towards a competitive, zero-carbon future. The Luxembourg court case goes back to 2012 when ArcelorMittal closed its Schifflange site but still received almost 81,000 carbon permits for free in that year because it was late in notifying the Luxembourg authorities about the plant’s upcoming closure. At the time, the Luxembourg government requested that ArcelorMittal returns the wrongfully received allowances, but the company refused, claiming that the allowances had become part of its property. However, the EU’s highest court ruled in 2017 that pollution permits that were handed out in breach of the EU law cannot be considered as an operator’s property. Meanwhile, ArcelorMittal has made over €500 million from selling surplus free pollution permits it received under the EU Emissions Trading System (EU ETS) since 2009 according to its own financial reports. This is the result of too lax ‘carbon leakage’ rules which have led to the biggest polluters being given too many free allowances that they have then been able to sell on for profit. The ArcelorMittal ruling once again puts the spotlight on the problems that plague the EU’s main tool to cut emissions from heavy industry. 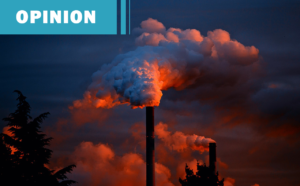 The low carbon price and the excessive handouts of free pollution permits to industries have led to a situation where the biggest polluters are able to make profits from the system while their emissions remain stagnant or even rise. And meanwhile, another court case is pending at the European Court of Justice. This concerns the demand of ExxonMobil to be entitled to more free pollution permits for a plant it operated in Germany until 2014. Not only does the preliminary opinion of the Court indicate that ExxonMobil cannot make a claim to these free allowances, but applying the correct rules could reduce free allowances for even more industrial installations. If this is confirmed in the final Court verdict, yet again large polluters will rightly end up with less free pollution permits while they were hoping to get more. It is now time large polluters instead start to focus on the solutions which exist to set energy intensive industries on a credible transition path towards a carbon-free future. The cost of this transition is outweighed by the opportunity to strengthen and safeguard the EU’s long-term industrial competitiveness on a global scale. In order to employ these solutions, we need a change in the current regulatory framework, including meaningful pricing of all carbon pollution and financial instruments to support innovation.